An exhibition in a gallery connected to a natural history museum; the works looked at the identity of natural history objects as cultural objects, particularly within the culture of collecting. Two large installations were made. 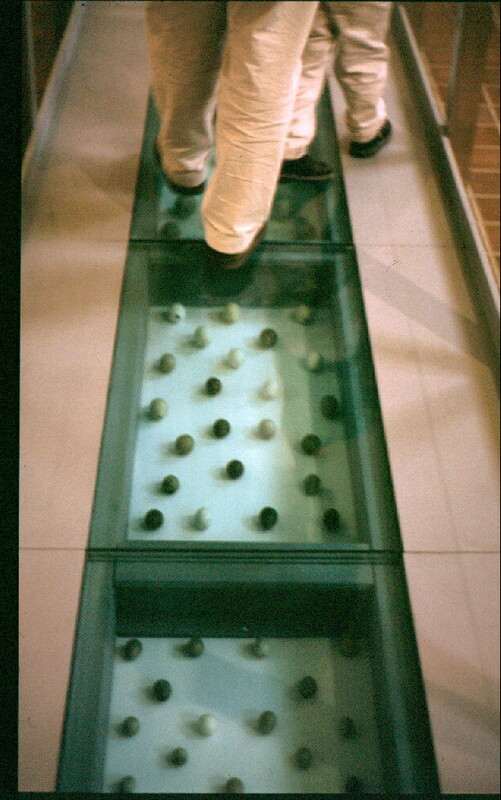 In Walking on Eggshells a 5m long glass pathway was constructed enabling people to walk over 175 birds' eggs; Counting was a collection of 6004 fossil sharks teeth each labelled with the name of a character from the Bible, the number signifying the age of the earth according to pre-scientific calculation in 1650, and the objects deriving from the first fossils geologically studied, also in the 17th century. Other works looked at the seductive language of natural history collecting, the process of naming, and the creation of desire. 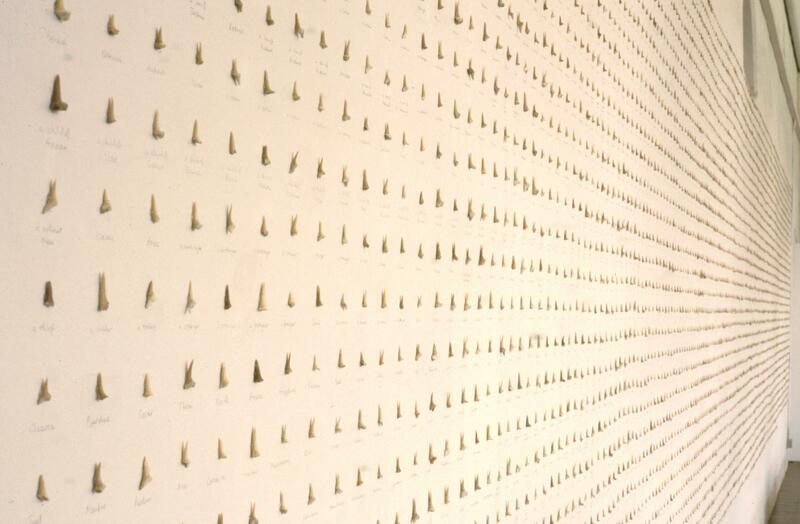 The installation uses the evidence of palaeontological prehistory to express an idea that stands outside the current scientific structure of knowledge, though since the introduction of cladistics as an alternative form of taxonomy based on similarities across the whole range of living things, this structure has been thrown open to wider debate. Historically the two fields of belief, religion and science, have used doubt as a weapon against the other, yet both appear to use faith and enquiry; while science works through a process of proving a hypothesis, it seems that faith is increasingly dependent on the application of archaeology. While James Ussher's calculation is patently unscientific and arbitrary, we still depend for our calculation of time on a biblical event which we never tire of trying to prove; and while evolutionary science and creationism may seem polarised into terms of wrong and right, both are widely regarded as unprovable.